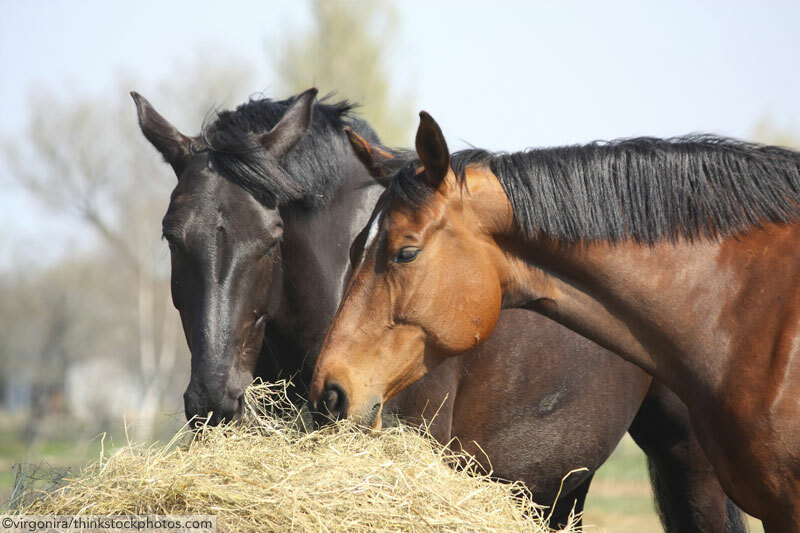 Home Horse Care Nutrition Ask the Vet: How’s the Hay? Will horses avoid hay that's moldy or spoiled? Q: Do horses know not to eat bad hay? A: Horses will generally avoid any feed that is spoiled or moldy unless they have nothing else to eat. This is also true for poisonous plants, which may be growing in your horse’s field. If there is good food to eat, horses won’t go foraging for bad things. Always make sure you throw out any bad hay or moldy grain and walk your fields to check for poisonous weeds. Make sure your hay supply is covered and that no water is leaking on it. Your horse needs your help to stay healthy. This article originally appeared in the March/April 2017 issue of Young Rider magazine. Click here to subscribe!